SPENCER CO. -- A crash this morning on U.S. 231 in Spencer County killed a Warrick County woman. 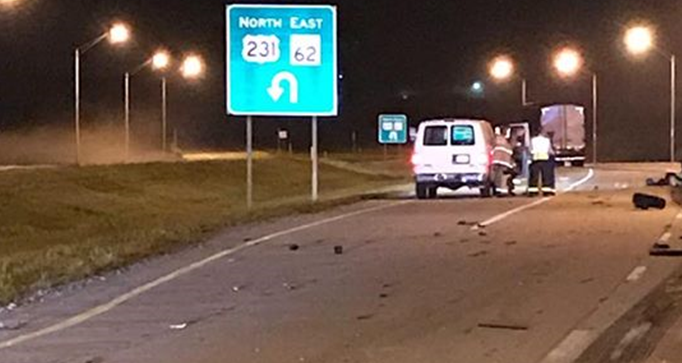 Indiana State Police out of the Jasper post responded to the crash shortly after 3 this morning near the State Road 68 – 62 intersection. Police say 59-year-old Kathryn Schitter of Newburg was killed in that crash. A Salem man in the other vehicle was not hurt. Multiple agencies responded to the crash including Spencer County deputies, EMS, Fire, State Police and crash reconstruction investigators. No word at this hour on what caused the crash.